When it comes to bars in Mechanicsville, nothing comes close to Cullen's Cove. Mostly known for playing host to live rock and country music every weekend, the venue also offers poker nights, WrestleMania shows, line dancing, karaoke and lots of other entertainment options. 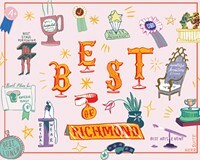 Most of Richmond's up-and-coming country and hard-rock acts play here, and owners even get the occasional national act to come through: Alien Ant Farm played there a while back. Marty's Grill offers plenty of sports-bar entertainment and a fun, relaxed environment where everyone there is a friend or soon to be one. Patrick Henry's Pub & Grille in historic Church Hill rounds out the list with a restaurant, an English pub and garden patio that neighbors love.